Did you know you can grow edible plants and herbs inside your home? You don’t need a hydroponic setup, a greenhouse, and lots of specialized equipment to grow edible plants year round. Everyone already has what they need to make salads of baby spinach and arugula, wheatgrass for healthful drinks, fresh lettuce on your sandwich every day, and enjoy aromatic herbs in your kitchen. If you have enough space consider dwarf fruit trees, or a container filled with strawberries. If you don’t have any light at all, you can even grow mushrooms in your own home! Seeds are inexpensive. They are usually half off during end of season sales, and I have seen them as low as 10 packets for $1 in discount stores. Since you are planting an indoor garden and not the back 40 acres on a farm, you’ll use a few seeds and then close the package and save the rest in your freezer. Soil is, well, dirt cheap. Even free if you can take a few shovels full from your yard. Look for dark, rich, clean smelling soil. Pick up a handful and gently squeeze it. Does it stay together when you open your fingers? You’ll want to sterilize your dirt before using it for plants. Heat is the best way to kill harmful micro-organisms. 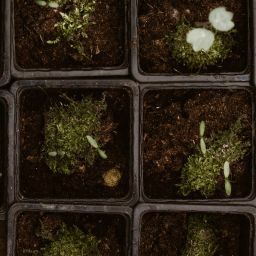 You can lay the soil in a shallow dish and put it in your oven, or microwave it, or put it in a plastic baggie and lay it in the sun to heat up. Use repurposed food containers as grow pots. Use tall, wide containers and poke holes in the bottom for drainage. Place them in a new kitty litter pan, or place saucers underneath to catch any overflow from watering, and situate them along a sunny window sill. You now have an indoor garden. As with anything there’s a learning curve to growing plants. But it is not rocket science, and you can have greens and herbs year round with very little effort. Start with Seeds or Started Plants. Starting a plant from seed is easy. Buy a package of seed. Most home improvement, hardware, and gardening stores have several racks of seeds, and you can even find seeds in supermarkets and pharmacies in the springtime. Do not try to grow tomatoes, cucumbers or pumpkins in your kitchen. Those vegetables do need full sun so you must have special equipment to grown them indoors. 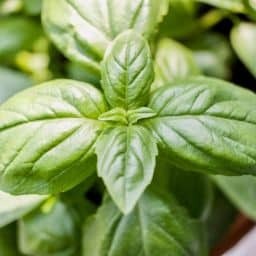 You can grow just about every green leafy vegetable and herbs with ease. Read the back of the seed packet and choose varieties of greens and herbs that thrive in low light and have short growing seasons. If you purchase a plant that has been “started”, that is, a plant that is already 4″ high or higher rather than starting your own from seed, make sure the plant is healthy and pest free. Buy only dark green, lush plants. Examine the top and underside of each leaf for signs of parasites or fungus. Do not purchase plants with wilted or brown leaves, or very dry soil. When you bring your plant home, you will need to “condition” it. Plants grown in commercial nurseries are grown under optimal conditions. They are accustomed to the full amount of sun that they need, fertilizers, water, humidity, and warmth. Your conditions at home will be different. In order to avoid shocking your plant, you want to provide it with the lifestyle to which it has been accustomed – at least until it gets used to its new home. If the weather permits keep your plant outside during the day so it gets the full benefit of the sun, and bring it in at night. Each day expose it to an hour less sunshine until it gets the same amount as it would inside. Then you can bring it indoors. Not in the beginning, of course. When you plant a seed in soil, it does not need light. It will grow up against gravity, pushing through the earth until it pokes through. That’s when your little seedling needs light. Take a look around your house. You can’t shove your plants in a closet, or put them on a table far from a window and expect them to grow. With insufficient light they’ll sprout, strain to reach the light with long pale spindly growth, and then die. 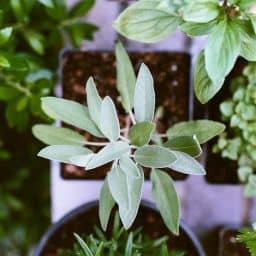 But if they have strong light from a large window, or better yet a sunporch or skylight, they will grow almost as good as they would outside, setting out a thick stem lush with large, dark green, tightly formed leaves. So the first thing you need to do is find a spot inside your home that gets a lot of sun. Do you have a patio, or a sunporch, or a skylight? Perfect! Your plants will thrive. But they will also do quite well in front of a large window that gets a lot of sun during the day. Reflected light counts too! Hang mylar or aluminium foil behind your plant. Paint your walls white or hang a white sheet or curtain behind the plants. Put white marble chips on the table surrounding your plant pots. If you cannot provide your plants with sufficient natural light or want to extend the daylight hours to encourage more vigorous growth, get a florescent grow light fixture and hang it just above your plant. Plants turn and grow towards the light. If your light source is coming from a window, it is important to rotate your plants every day to encourage even growth. One of the main causes of plant death is over or under watering. Our food plants originate in a variety of different climates and so have different needs when it comes to the amount and frequency of watering. 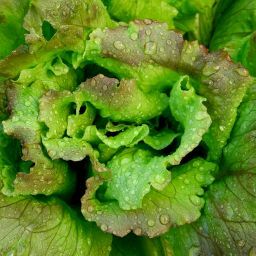 Some are modified through selective breeding and hybridisation to thrive in standard commercial farms or the home garden. The back of the seed packet, the little plastic insert that comes in the potted plant, books and online sources of information will all tell you about the watering needs of your plants. Follow those instructions for the best results. Water from the bottom to keep the soil moist, do not wet the leaves. Many forms of fungus and parasites thrive on wet leaves. Spray with an organic, food safe pesticide. All plants need drainage. Look for planters that have holes in the bottom. Use a small tray under your plant pot, to catch any excess water. Water the soil, not the plant. Wet the soil thoroughly with room temperature water, until water begins to drain out the bottom of the pot. Do not over water. Few plants like to have their roots submerged in watery mud. An overwatered plant will turn yellow and then brown, due to lack of oxygen in the water filled soil. Plants need the right temperature. Like water, the “right” temperature for plants has a lot to do with the origin of the species. Tropical plants like warm, humid conditions, while other plants grow best when it is cool. Fortunately, both humans and most varieties of edible plants like the same temperatures – 65 – 75F during the day and cooler at night. While plants can tolerate temperature changes of short duration, prolonged heat or cold is likely to damage your plant. So be careful about placement. Do not place your plants on top of a radiator, or in front of an exterior door that will be opened often in the winter months. A plant that is too warm will be small and fragile, while cold temperatures will often result in leaves turning yellow and dropping from the plant. Plants do not need special containers, or expensive decorative pots. Those are for you, not for the plant. Your pot can be made out of anything. 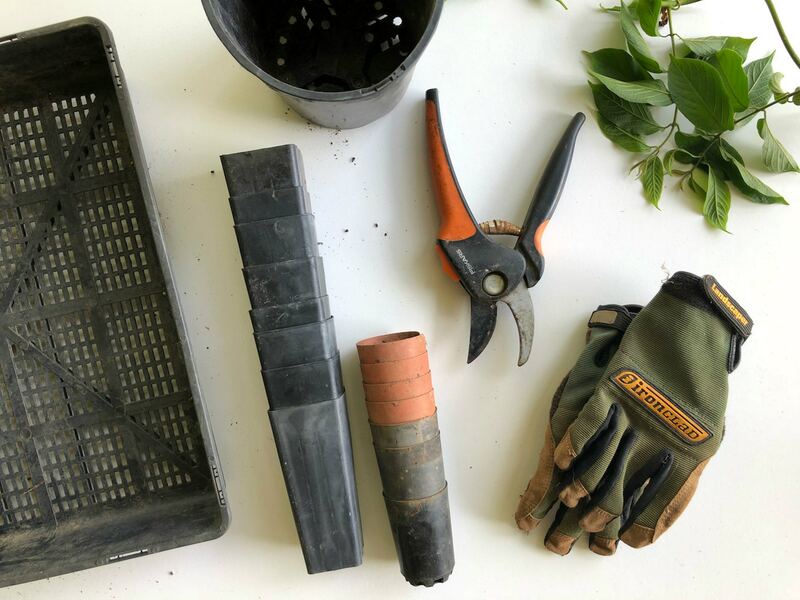 You can use yogurt or ricotta cheese tubs, milk containers, instant coffee cans, the bottom part of plastic soda bottles, kitty litter trays, plastic shoe boxes, you can even poke holes directly into a bag of soil and plant seeds right in the dirt. Clean the container. 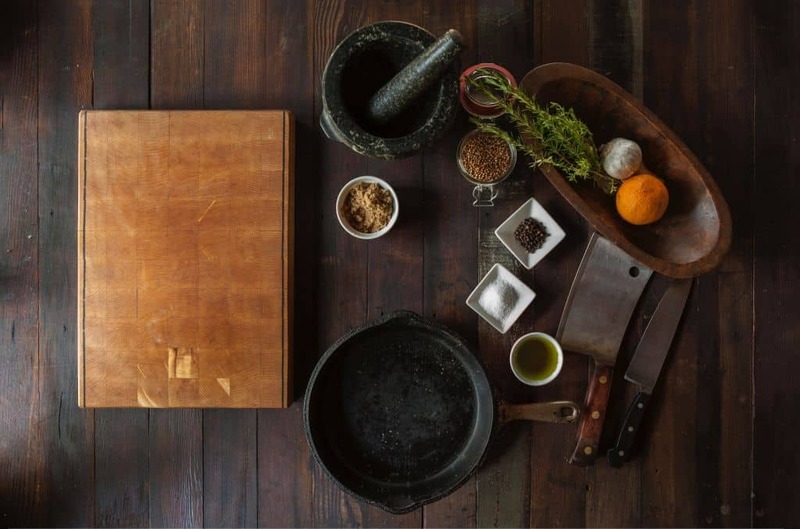 Clean it if it has contained other substances, and clean it if it has contained a different plant, to remove all traces of harmful bacteria, fungus, and mould. A plant needs a pot that is at least 1/2 the height of the fully grown plant above the soil line, to allow for roots to go deep in search of moisture. The pot should also be wide enough to allow plenty of room for roots to expand outwards as well. If a pot is too small the plant will become “root-bound” and fail to thrive as it will not be able to get enough nutrients. Your pot should have drainage holes in the bottom to let out excess water. Do not soak your plants in a closed container and let their ‘feet’ stay wet. Poke holes in the bottom to let the water drain out, and then re-water when the soil around the top of the container is dry. Plants need moisture in the air. Plants thrive in humid conditions. There are several ways to provide your plants with the moisture they need. Lower the temperature 5 degrees. Warmer air needs a higher moisture content. Lowering the temperature allows moisture to leave the air and nourish your plants. Set your pots in a tray filled with pebbles and water. Water your plants so some water remains in the drip pan under the pot. An aquarium nearby is an excellent source of humidity. If your home is dry during the winter months, place a bowl of water on top of a radiator, or consider a humidifier to increase the moisture level in the air. It will be good for you AND your indoor garden. Plant food is called fertiliser. 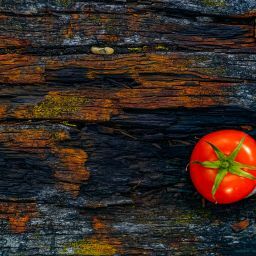 Like water, moisture and temperature, the amount and type of food a plant likes has a lot to do with its origins. Some plants come from desert conditions, some from rich loamy soil. You need to consult the seed packet, instructions that came with the plant, or online sources to determine the specific needs of the plants you want to grown. As a general rule, all plants love compost. You can buy commercial fertilisers, such as Miracle Grow, or make compost in your own kitchen. Compost is simply plant matter that has broken down, through age and heat, to a nutrient rich substance. Any small container will work. Place all vegetable and fruit peelings, coffee grounds, tea leaves, and eggshells into the container. Add a handful of soil on top, and cover again. 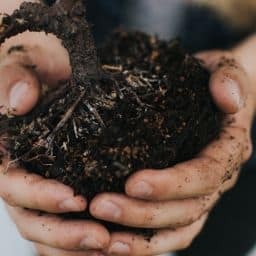 Once your compost is completely decomposed you can add it to your plants. Some people add water to their compost and water the soil regularly. If you want to grow your vegetables or herbs inside a controlled environment please visit our stealth grow boxes shop.